Get ready. Joe Coffin is on his way. And he's mad as hell. Joe Coffin is fresh out of jail, but going straight is the last thing on his mind. The sickos who murdered his wife and child are still out there, and he’s going to get revenge. The problem is, Joe Coffin is in much deeper than he realises, and his wife might not be as dead as he believes. 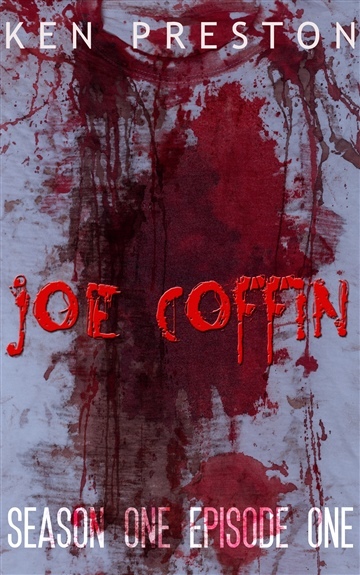 Violent, gory, profane and explicit, Joe Coffin is for mature readers only. Ken Preston lives in the West Midlands on the street where Jack the Ripper was born, with his wife, two sons, and their two cats. Trained in Fine Art, he intended to spend his life starving for his art whilst producing future masterpieces which would live on long after his death. A couple of weeks later, once he realised he didn’t like going hungry, he got himself a proper job. Since then he has worked in the reprographic industry, been a street performer, and a clinical photographer, during which time he saw more dead bodies and body parts than he cares to think about. Now he sits in his cellar and writes novels, whilst pretending to ignore the cats. ". . .delivers gore, scares, pathos, and even some laughs in a bloody bundle that is much greater than the sum of its parts."